Also this week in New York, socialite and new “106th and Park” host, Angela Simmons debuted her newest collection entitled, ‘Shop. Angela I Am.com’. The show was star-studded, of course, as Angela presented designs of leather dresses, faux fur and minis galore. Angela is known for her fashion sensibility and style and I even personally spotted her front row and center at the Fall 2013 Tadashi Shoji Fashion Show that I attended back in February in New York. 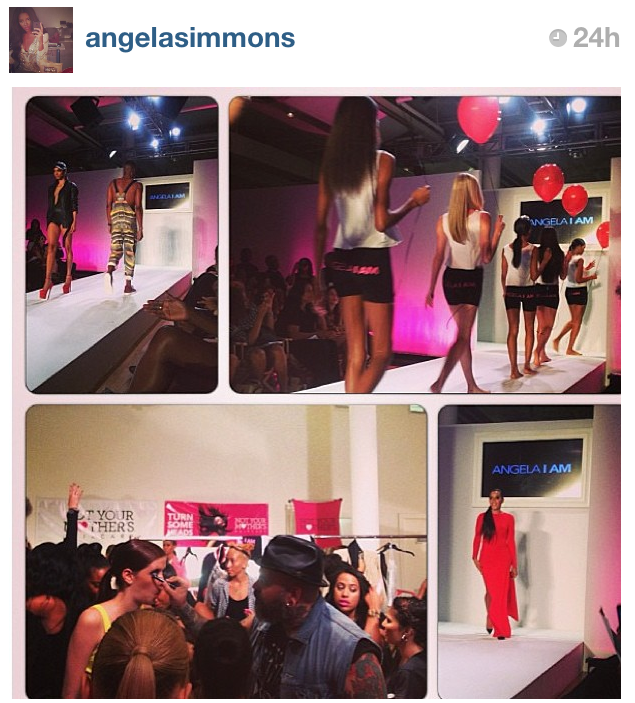 But one great thing about Angela’s new line, the items were available online the same day as her show was held. Shop the items HERE.